New Class Beginning May 5th! Thursdays at 10:30 beginning May 5th, our newest teacher, Ms. Laura will be offering a brand new Kindermusik class at PlayEscape in Southern Pines. Just seconds from our regular location, PlayEscape is an indoor play center with playground equipment, bounce houses and play areas for infants and toddlers. 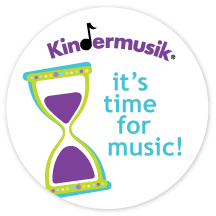 Kindermusik Playtime will be offered for children ages 0-3 years and their caregivers as a 30 minute class with all of the same benefits of our regular Kindermusik classes PLUS the bonus of 1/2 price admission to PlayEscape on the day of classes! So, join Ms. Laura for songs, stories, instrument play and exploration, and dancing and meet some new friends and then stay and eat lunch, grab coffee and enjoy the rest of your day at PlayEscape while your little ones enjoy the fun. Sign up for all 4 classes or drop-in at your convenience to join the class. Visit our ENROLL page to register your child today!